The year is 1973. The sound of a lone saxophone drifts over the Roosevelt Island promenade, while a series of accidents plague a midtown construction site. It`s everyday life in New York, as far as the citizens are concerned. The people of Manhattan take no notice of these events. Embittered medium Lauren Blackwell and her spirit guide Joey Mallone are the only ones who believe that there`s anything strange going on, and they`re the only ones who can stop an enigmatic killer from striking again. Blackwell Unbound is rated 3.8 out of 5 by 15. Rated 5 out of 5 by FORTUNATUS from A casual game UNBOUND... a true adventure for... ...adventure lovers!! You will NOT find bells and whistles, you will not find cute little hint helpers, you will NOT find inane rewards, hand holding, nor black bar hints or cut scenes... NO you will not find these bells and whistles here! So PLEASE do not rate this game based on the AVERAGE ;] casual games found on BFG as so many low star raters have. :\ You can consider this a casual game UNBOUND [from all the fluff and nonsense]. :))) And... most importantly, what you WILL find is a chapter from the series of highly acclaimed, highly rated, much enjoyed point and click ADVENTURE GAMES with an in-depth STORYLINE that needs to unfold using the ole grey matter [thus comes the adventure]. SO, Adventure lovers!?.... check it out; you most probably will not be disappointed!!! Happy gaming; have fun! : ) Btw, hope BFG has the final sequel.... amazing!!! Rated 5 out of 5 by bwallace from Love this Series! It's old school looking but that just gives it charm! Love the voice acting and went on to play the rest of this awesome series! Rated 5 out of 5 by Joreboji from I wish there were more like this! First of all I'd like to say that no matter how much I loved another game in a series I ALWAYS play the free trial before I buy ANY game. Sometimes I don't like the next one. That being said I have found ALL of this series to be awesome! I absolutely love this series and wish there were more out there like it. The characters find places in your mind almost immediately and long after the game is done you still think about them...or at least I do. I wish I had a "Joey" to help me with some problems, lo! "no progress"???? Oh my, if that were so, there wouldn't be so many rave reviews, no one would buy these games, and the developers would shut it down on this idea! I, for one, highly recommend this game! Rated 5 out of 5 by OneWhaleRider from Fun Retro Graphics, Excellent Story This game stands out because of its superior voice acting and quality story line. The old school graphics and noir soundtrack are surprisingly immersive. The characters are unforgettable. There should be more games like this! Rated 5 out of 5 by Gembirdie from Refreshingly Different! 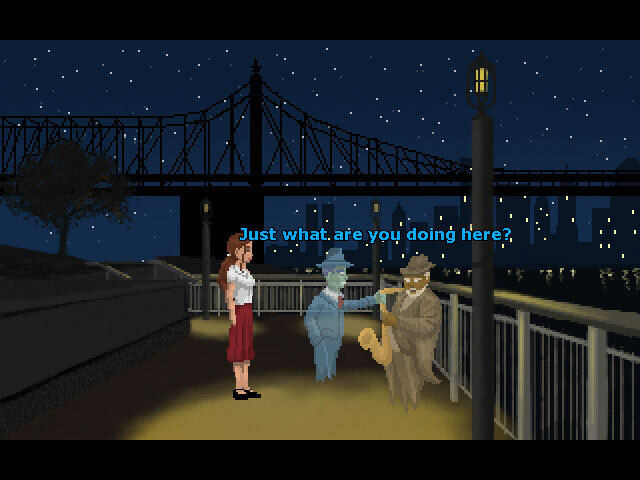 A totally different game, in the style of the eighties; where you play alternatively a medium or her spirit guide to solve the mystery of two ghosts disturbing their respective neighborhoods. You have to interview people, combine clues, use some creative thinking. There's no hint button, so sometimes, when you get stuck, you have to stop playing for a while and just continue thinking about the game until you figure out what you can try out next. Delightfully challenging without being too hard. The graphics aren't fantastic. But the voice-overs are awesome, and the story is very very good. If you like adventure games and you like thinking by yourself, then this is the game for you. (I'm going to buy and play the other ones of the series too, I liked this one so much). Rated 5 out of 5 by emeraldorchid from Not a game for everyone, I guess Well first off, as i have stated in my reviews of the previous 2 Blackwell games, these are just the best single-player games I have bought this year. That being said, the game obviously only appeals to a certain group of players. Those that don't want things "handed" to them. i.e. ="locked door, go across room, move picture, find key, back to door open, proceed" You need to think in this game, immerse yourself into the Story, not the graphics nor most of the voice-overs, they are very rough, retro. Get into the Story, ask questions, compare notes in the notebook, talk to everyone, ask the same question several times, you may have missed something, Oh and even Really write stuff down in your own real-life notebook to help figure out what to do next. Use the phone book. This is not hard everyone, just different than how most are used to playing. Thank you Wadjet Eye games, please don't leave us hanging, yes each game does have an ending, but there are so many other questions left open, I'd like to see you bring the story around to it's true finality. Rated 5 out of 5 by Dynamicmackerel from A tightly written great supernatural mystery Well I've managed to finish the game so unlike another reviewer stated you CAN progress and he obviously didnt try everything. This is a prequel to blackwell legacy. But you may actually want to play legacy first. Lauren and her spirit guide joey are tasked with helping lost souls realise they are dead and help them move on to the next world. These spooks are always rather stubborn and confused so this is more difficult than you might imagine. An interesting and unusual feature of the game is the notebook. You automatically write down topics of interest. This is not a find the key under the doormat adventure. You have to talk to people and grill them on topics in your notebook like a real P.I The only frustrating point is that sometimes the character won't jot something down that I felt should be there. Gratuitous use of the phonebook is required. One thing I'm actually annoyed with is the anticheat feature. If you take a name from an online walkthrough and search the phonebook for it, before you've found the appropriate clue, Lauren will refuse to remember it or write it down. It was funny the first time, but on replays its irritating as you wanna skip some stuff. The 1980s dos style graphics make my eyes water a bit but they do the job and are good for nostalgia I guess. I'm also giving less than I would for sound as the voice acting of some of the extras is questionable. Fortunately the two main characters are both fantastic and I laughed out loud at some of the banter. I highly recommend the whole series. Rated 4 out of 5 by Landofoz from Really Good - Back to Old Adventure I really like this game. It surely made you think about your inventory items and how to progress. There were a couple of times I was stuck and revisiting each area didn't seem to help. After some brainstorming I figured out the next step. As I said in a previous review of the first game in this series, I really like the "think" requirements. No hunting for an item in a rubble of stuff to get forward progress. No total understanding of what you have to do but you just can't find the inventory item. This game and its adventure puzzles really make you think about the story and what to do next. Excellent game and enjoyed the old pixelly look from the early days of adventure. 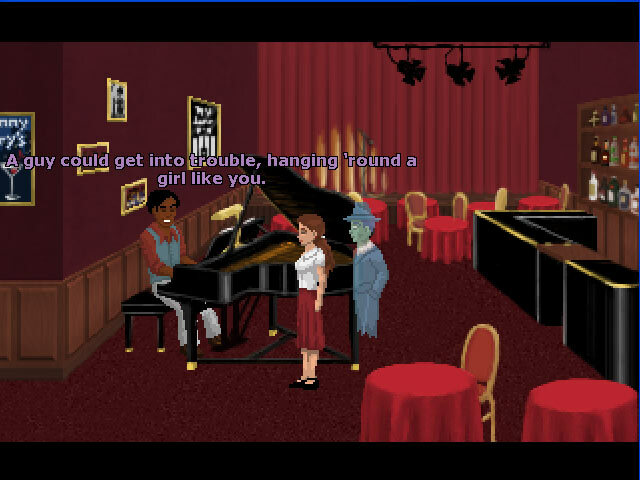 Rated 4 out of 5 by LoneCleric from Good old-fashioned adventure game There are three things about this game you need to know first & foremost: 1) It's a dialogue-heavy, point-and-click adventure game, done in the style of the 90s classics. If you don't like those, you won't like this game. If you don't know what those are... feel free to try, but your odds aren't that good either. 2) It's a casual game, and as such, it's a lot shorter than games of old. (But then again, it's a lot cheaper, too.) 3) It's a sequel. (And interestingly enough, this review is a copy of the first game's review, save for this very paragraph.) If none of those points is a problem for you, then congratulations buddy, buy this game and don't look back! 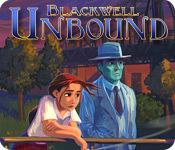 Thirty years before the Legacy, comes Blackwell Unbound! Follow Lauren Blackwell and her spirit guide as they track a killer!